The knowledge on the different areas in which we specialize (see below) is shared with the key players that influence wetlands. Not only the Government of Indonesia, for example the Ministry of Forestry, Ministry of Environment, Ministry of Agriculture, Ministry of Public Works and other Ministries or local governments are provided with our input on policies. We also work with the private sector and other NGOs using our knowledge to influence their policies and practices. Here are some key examples of wetland knowledge we have built over the years. The local community is our agent for change on the ground. 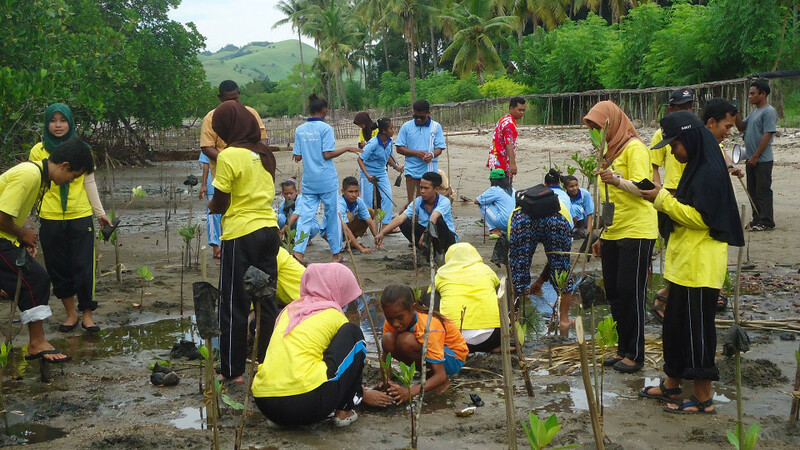 We enable communities to restore their degraded wetlands, stop their the damaging activities (e.g. logging and poaching) and provide them with microcredit. Thereby we provide them with the opportunity to create alternative and sustainable activities to generate income. In this way we make sure they benefit and that their conservation action is lasting on the long term.